Named after the first Indian Orthodox Saint Mar. 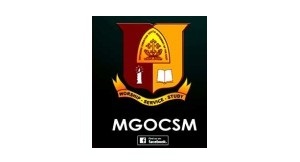 Gregorios Geevarghese of Parumala,The Mar Gregorios Orthodox Christian Student Movement (MGOCSM) is a worldwide student spiritual organisation originally established in Chennai India. The movement at the St. Thomas Indian Orthodox Cathedral in Sydney consists of a group of vibrant students who, under the leadership of our priest Rev. Fr. Thomas Varghese, strive to become closer to God through worship, study and service. Activities are conducted every month, and focus on spirituality, charity and fellowship. These include prayer, interactive discussions, bible studies and talks from influential speakers. On the charity side, the team frequently work with non government organisations in various initiatives to help Sydney's most vulnerable. Fellowship is all about the fun and we get together to do activities such as bowling, laser tag and paintball. The group has also been involved in the majority of church activities such as food fairs, and participating in annual celebrations such as our Christmas and St. Thomas day programs. There is also regular inter organisation sports activities such as cricket and soccer matches. We hope that the MGOCSM of our parish in Sydney continues to grow spiritually and contribute to many more key areas within the public. We gladly welcome all those interested to participate in our activities and join our movement.